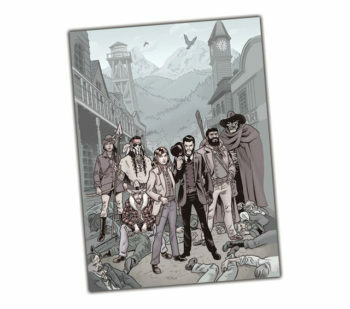 Showcasing the cast image and suitable for framing! This print was originally created as part of the Kickstarter rewards for The Sixth Gun RPG by The Sixth Gun comic artist Brian Hurtt. 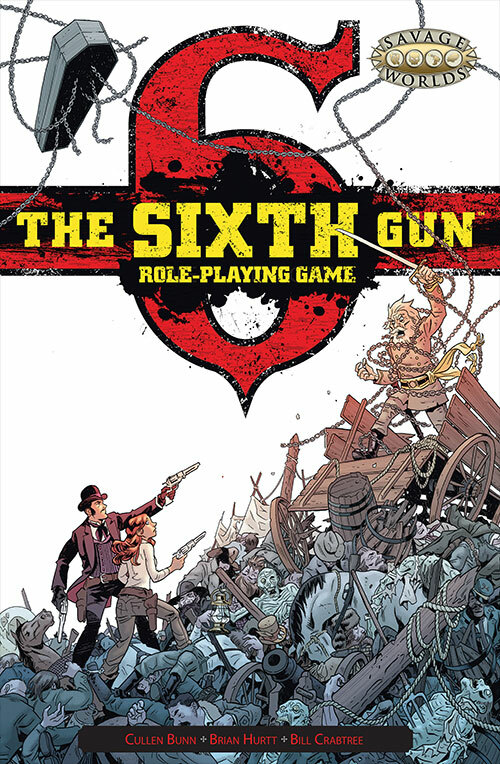 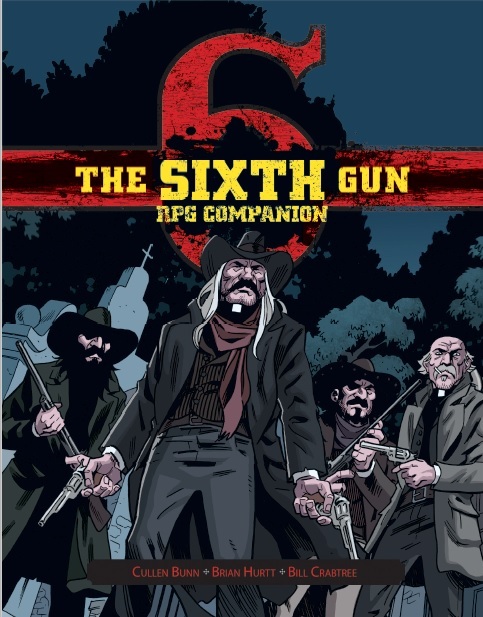 The Sixth Gun RPG Total Package Bundle includes Print + PDFs! 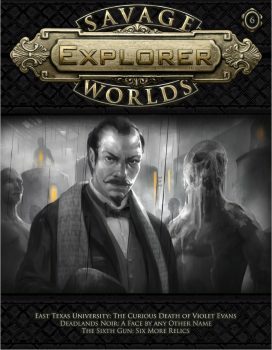 You get all these beautiful printed products, and the PDFs for them, too! 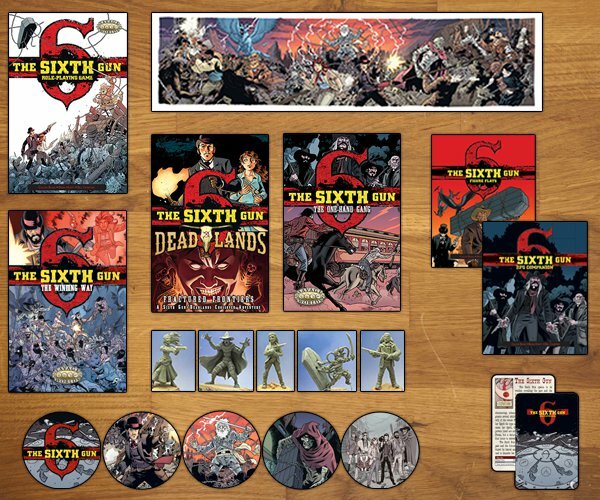 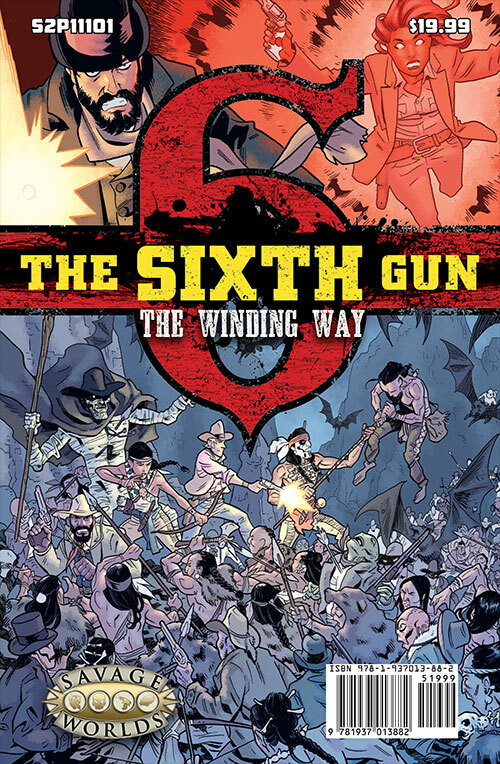 Designed for GMs looking for adventures between the pages of our Sixth Gun RPG books (based on The Sixth Gun comic from Oni Press), this bundle features all of the physical products in the line and 20% off the regular price! 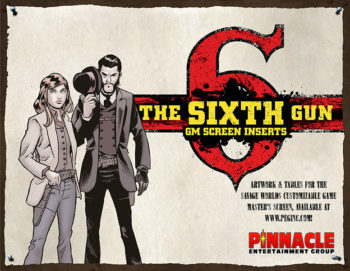 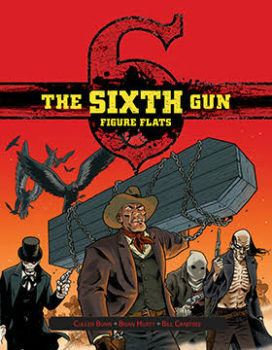 Choose between softcover ($19.99 each) and Limited Edition hardcover ($24.99 each) on the core The Sixth Gun RPG book.